The country’s favourite reality show – Big Boss – is just around the corner and it has got fans talking already. From probable contestants to the overarching theme of the season, people are speculating about every detail. 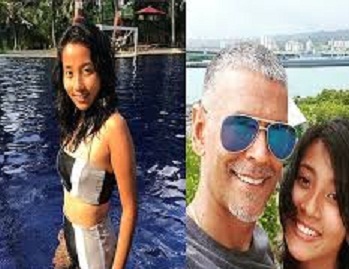 A report published in the Hindustan Times stated that a rumoured list of contestants suggests that newlyweds Milind Soman and his Assamese wife Ankita Konwar (who hails from Guwahati in Assam) will be a part of the show. However, the model and fitness enthusiast has denied the reports. Milind and Ankita tied the knot in April this year in a small ceremony in Alibaug in Delhi. The pictures from the wedding went viral and the two received several wishes from their many fans. The 12th season of Bigg Boss will again be hosted by Salman Khan. According to the two promos released so far, the theme for the new season will be ‘weird pairs’ or ‘vichitra jodis’. There will be 21 contestants in Bigg Boss 12 with 12 making real ‘jodis’. The pairs will be of mother-in-law and daughter-in-law, siblings, husband-wife, etc. Even here, the ‘jodis’ will be equally divided among celebs and commoners. Salman Khan will divide six of the nine individual contestants into pairs on the day of the launch. The remaining three contestants will enter the house in their individual capacity but will get some special powers for the first few weeks. The show premieres on September 16 next.